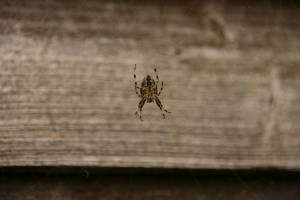 Observation - A garden spider in, er, our garden - UK and Ireland. Description: The web was stretched between the shed and some pea sticks. The web was stretched between the shed and some pea sticks.